That’s on the edge of acceptable to me. I would see how it does on some torture tests. Remember a torture test scene will probably show something no matter the panel so it might be a case of how much you can stand it. Yeah the torture tests show it for sure. I haven't seen much of it in normal content. Then again I haven't watched much content that would show much of it I don't think. I watched the netflix movie "This is the End" which has quite a few hazy foggy scenes and I barely saw it. Have you tried out the movie on yours? I now have my 2nd LG 55C8 and I've taken some pictures "fresh" with as little time used on it as possible. In the shop on Tuesday when I checked it I didn't have time to do very much and I didn't actually check anything other than 5% on that day! I'm pleased with this now. I can see on the thumbnails of these images (when placed all together) that the darker part on the right 1/3rd of the screen is visible at higher brightnesses, but for me in real life it disappears at 16%. EDIT: I also use this as a test, it's very good if you can see past the stupid deep voice effect, thumping happy music and overly-casual approach. Checking for banding isn't supposed to be "fun"! Skip to 1m27s. Last edited by mrtickleuk; 08-28-2018 at 01:19 PM. That banding actually looks pretty clean besides the darker spot on the right side. Do you notice that dark spot in normal content? I’ll check it out tonight. Can you post a time stamp of where it’s shows up most? Honestly, I watched it before I even heard it mentioned as a torture test... so I wasn't looking for it initially. I don't actually have a timestamp. Maybe whoever mentioned it just had really bad banding because I didn't notice it at all while watching it. I'm still trying to get used to the vertical banding that comes up every now and again. I'm still stunned that these are considered "normal" by LG to some extent. Now I'm seeing something else, and I'm not sure they are showing up due to some of the changes I've done to the set. Best I can describe it is, during scenes at night (netflix 4K DV) if somebody has a flash light and slowly turn with the light with a pan, i see very quick black artifacts. I've seen this in episodes of Stranger Things S2 and Jessica Jones S2. I rewind and watch again to make sure I wasn't going crazy, but the same artifacts exists. Does anyone know what the heck I'm talking about? Pretty distracting to say the least, but don't know if this happens to maybe some settings on the OLED. Hey I've noticed some very peculiar and unpleasant artifacts in dark scenes with flashlights on screen with my LG C8 55--the beam of light sort of... warps and distorts when moving. Best example I can think of is the first cave scene in Lost in Space. The description you gave doesn't exactly match up with what I see on that scene, but it's caused by motion interpolation in this case. For my scenario at least, turning off TruMotion completely fixed it. I have seen this same issue in Stranger Things S2 as well, but mostly I've only noticed it on DV content. I guess I would say that motion interpolation type artifact discussions should take place in the specific display model thread. If I had to guess you have an LG OLED, though. Yeah, well I think that may be it, the TruMotion for me is set to on, but user mode, i put the settings at 2. But I will turn this off, and replay the scenes to see if I still see it. I have officially started the process. Spoke to LG this morning and was instructed to perform 3-5 pixel refreshes. If the dark blob is still a concern, they will send a tech out. Wish me luck! Do you mean How it Ends? I can't find This is the End on Netflix. That thing looks pretty clean actually! My 55" AF8 has cleaned up considerably between 24hrs and 36hrs. I could see banding in the Marco Polo test before and now I cannot. A lot of darkness come out of the 5% - much happier with the set now. VidPro, mrtickleuk and npsacobra like this. Current full white screen. Not too bad. I can’t prove it, but the yellow tint on the left has gotten better. It also appears tp be slightly worse when I first put on the TV only to fade after a few minutes. Could all be in my head I guess but the overall look has improved since day one. ^^^ Could have something to do with the way the panels are cut from the mother glass. Look at the diagram in the bottom/left here. They stack (3) of the 65" panels with (2) of the 55" ones. I'm sure there are also other configurations as well if they are trying to crank out more of a particular size. White uniformity seems better on the 55" but of the ones I've seen with yellowing, it was usually at the top. Friend of mine bought his parents a 55” and the yellow tint is on top. Think the top left will clear up? Visible line in AMZ app. Looks like that should get better. A little bright to tell, but I’d say keep stacking some auto cycles and check it again. Coming from a 55 E6 that was practically perfect. I'm going keep running full screen media and throw some slides in as well and tack on the auto-comps. What's the consensus? 100 hours and the TV is pretty much done settling? I’d say by 100 hours you’ll know if the black blotches will be mostly gone. Minor banding seemingly can get better over time. I know on my set at 2300 hours banding that showed on some of the torture test scenes early in its life have dissipated to the point they pretty much don’t show up. That’s not to say new torture scenes have the same results. The bands show up at times I’d say not gonna happen but there they are. I give up. Watched 'How It Ends' last night (really bad movie IMO) and what an absolute Chit-Show it was on this replacement panel (@50 hours). Pink on the left side and at times on the right as well. During the whole movie it was constantly rearing its ugly head. Horror show visually. Just a joke. I just have no energy left for any full screen (zoom) 'babying' and break-in routine attempts. DONE. Last edited by zeromothra; 08-13-2018 at 04:38 AM. I'll chime in on my experience with banding/uniformity issues on OLEDs. Of those 6 OLED TVs, only the Sony has exhibited vertical banding and uniformity issues. The Sony, being one of the most expensive at over $3,500, really is a shocker. When I first powered on the set, not only was there vertical banding, but there was SEVERE uniformity issues on the left hand side of the screen... kind of like dark blobs. I did a panel refresh overnight and that seemed to have fixed the dark blob issue. The banding is still there so I returned the TV to Amazon. From my understanding, LG makes the panels for it's own TVs (obviously) and for Sony's. So, any vertical banding/uniformity issues in the LG lineup is going to show up potentially in the Sony lineup. I really don't understand why there is banding at all on these panels. 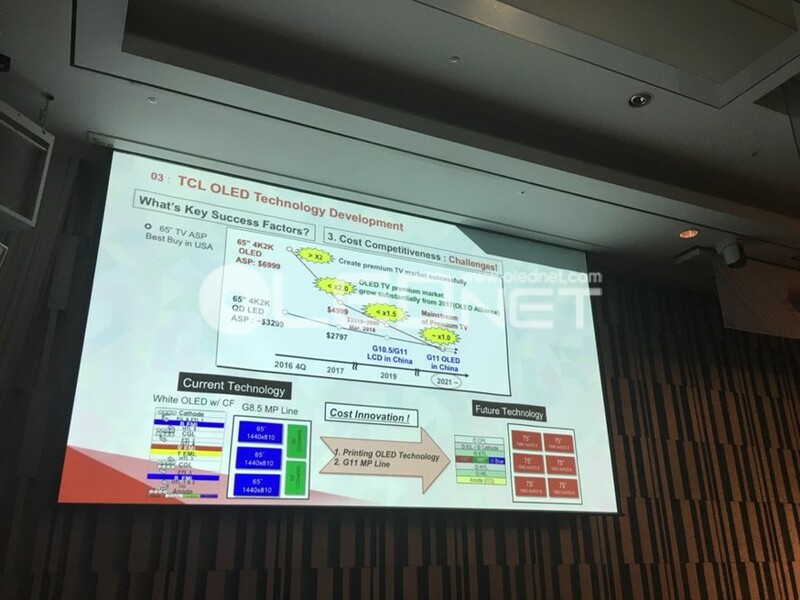 OLED pixel technology seems to be far superior to LCD/LED backlight/local dimming. Each pixel can be in an on/off state. Why is this even happening?!? Backplane tech is the primary cause, and the ability to apply current in such a way that consistently provides uniform luminance near black is a tough nut to crack. You've had a good run at the lottery. What do you guys think of my white uniformity? It had a bit of pink tint to it but it’s not noticeable in content. Last edited by Adamd; 08-13-2018 at 01:06 PM.